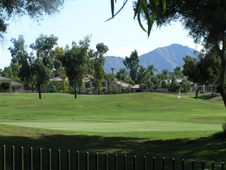 One of the most prestigious developments in all of Scottsdale , the Vaquero Drive community enjoys all the amenities – golf course views, custom homes, gated security, and a central location. If you want a gorgeous home PLUS a large lot, Vaquero is your place, with most lots running around an acre in size. Homes range from 4230 to 11,350 square feet. HOA fees are $636 monthly. Vaquero prices near $375 per square foot make entry level pricing around $1,600,000.